There will always be several reasons why someone may want to hire a general contractor in Kirkland. 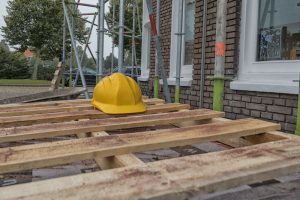 Whether you have a home improvement job in the works or you are looking to plan out a new construction build, working with a good contractor will make a world of difference. When you contact us at Schleg Valley Construction, our team of professionals has all of the experience that you could ask for when hiring a general contractor. We will be there to ensure your renovation or build plans go as smooth as they possibly can. All it takes is giving us a simple phone call and we can set up a time for a consultation to go over your needs and wants before diving into more detailed plans for the task at hand. If you are hoping to have a wonderful finished result for your project, you will need to work with a team that understands the importance of communication. We will be available to find all of the right subcontractors and suppliers for the job and you can rest assured in knowing that we have incredible working relationships with the finest and most trusted vendors in Kirkland and the surrounding area. We are here at Schleg Valley Construction to give you the peace of mind that you need when you want to be sure that the work is getting done while you are taking care of your day to day living. Hiring a contractor with the experience level that we have will result in a process that is both pain-free and rewarding. You will have the chance to enjoy the finished project while knowing that everything was money well-spent. Take the guesswork out of hiring a dependable general contractor in Kirkland. Call Schleg Valley Construction today at (425)312-6750 and we will set up a time for a consultation.